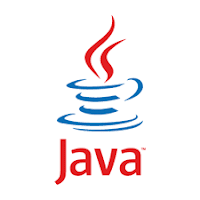 The java programming language is one of the most popular programming languages today. Studying java gives you a lot of opportunities because the language can be used to build android apps, blackberry apps, web applications and desktop applications. I have written this post to recommend some of the best java books for beginners. Experienced programmers new to java can also read this post. Are you looking for the perfect java beginner book to study the java programming language for your next project, then this is the book I recommend to you. Java all in one for dummies by Doug Lowe is a perfect beginner java book for those new to programming or programmers new to java programming. 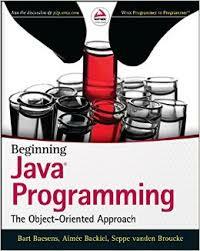 The author of this book introduces you java programming in an easy to follow manner. Inside this book will learn all the bolts and nuts of java and how fun it is to build applications with java. Topics like swing, web programming, files and database are also covered with examples at the end of each chapter. Do you need a practical introduction and an easy approach to tackle java programming, then grab this easy to follow book that teaches newbies like you how to build applications with java. 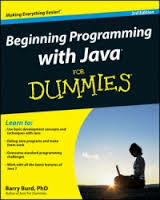 Beginning programming with java for dummies by Bard Burd is all need to start your java programming career. Throughout this amazing book you will learn the syntax of language, what it takes to be a great programmer, practice with lots of examples and many more. Get this book and you won't regret buying it. Beginning java programming the object-oriented approach by Bart Baeson,Aimee Backiel and Seppe vanden Broucke is a straightforward java book for beginners that gives you a broad approach to the java programming world. The authors of this book give you a step-by-step guide on java and with concrete examples to get you started with this popular language. Throughout this book will learn the syntax of the language in an easy way and also practice with real world examples at the end of each chapter. You won't only learn how to be a java programmer but also receive great tips to be a perfect java programmer. Java programming 24-hour trainer is a unique introductory java book for beginners by Yakov Fain. This book is what you need to learn one of the most popular programming language today with simple step-by-step guide and examples throughout each topic as you move along. Within this book you will cover all the basics of java, then move on to advanced topics like graphic user interface, java applet, network programming, databases, java server pages and many more. This book also comes with a dvd lessons of the language. Java in a nutshell is another recommended java book for absolute beginners that teaches you how to become java developer and its written by Benjamin J. Evans and David Flanagan. 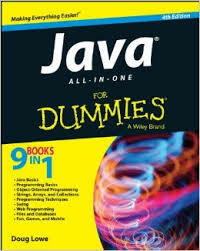 This is also recommended to programmers with no java knowledge. This book covers the basics of java, then moves on to other advanced features of the latest versions of java(7 and 8) and also gets you programming with the examples packed in this book. Do you want to learn java programming in an easy and fun way with no hassle and an efficient approach, then I think you should get this book learning java 4th edition by Daniel Leuck and Patrick Niemeyer. 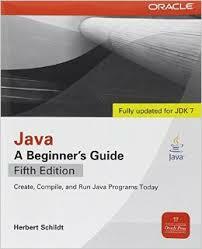 This book is loaded with lots of examples that gives best learning approach to tackle every corner of java programming. Some advanced topic include web programming, network programming, web services, swing, 2D API and many more, just get this book and enjoy it. 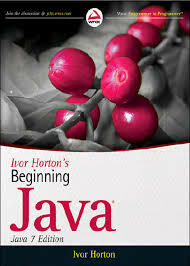 Ivor Horton's beginning java is a perfect java beginner book that has help a lot of beginners like you to become java developers. The author of this book teaches you java programming in an effective and efficient approach with lots of examples to practice at the end of each chapter. Ivor Horton's beginning java book is trusted by thousands of people and it also gives you a thorough understanding of how java works and how to build real world applications using java. Learn the java programming language the right way with this essential java beginner book made easy for newbies and programmers with no java background. Java a beginner's guide written by Herbert Schildt is what you need if you want to learn how to build applications with java. The author teaches you the basics of the language and then moves on to advanced features of the language. The examples in this book helps you to cover what you have studied in each chapter and they are also free to download. 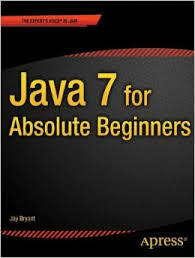 Java 7 for absolute beginners by Jay Bryant is a java beginner book I recommend to any person who wants to learn how code with java. This practical book provides you with all the knowledge you need to know about java in an efficient manner. This book teaches you java programming in a simple approach, gives you a step-by-step examples as you study each chapter, how computers process programs, how to debug a java program and many more. This is also recommended to experienced developers who want to learn java. 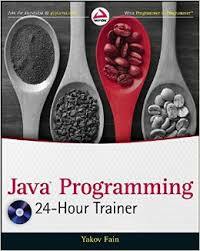 I wish you all the best as start your java programming career with any of the books I have recommended. Don't be discouraged by the size of the books but be happy you acquired any of the books because you will become a java developer. Your comments about these book can help us and other readers. You can also share this post to your friends and family.